Folding and throwing paper aeroplanes around the classroom and meeting up with our classmates after school to “do school projects” were things we all did when we were students. 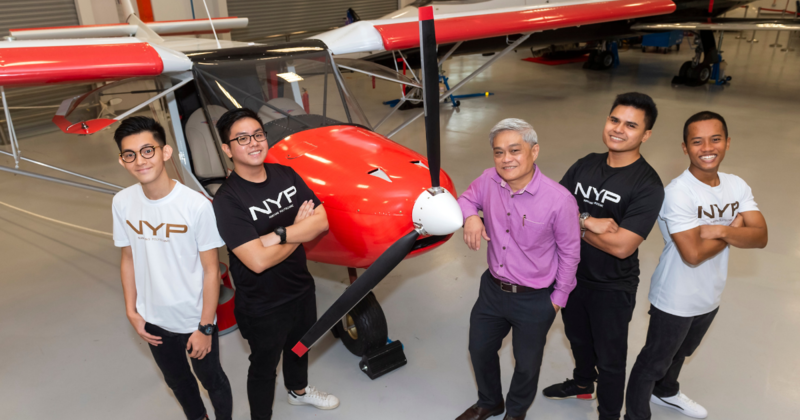 For 34 Nanyang Polytechnic’s Diploma in Aeronautical & Aerospace Technology (DAAT) students from various batches, building a real, fully-functional aeroplane has been part of their tertiary curriculum since 2014. Students were paired up to work on different parts of the 6.7m short take-off landing (STOL) CH750 aircraft that includes a functioning engine, electronics, a glass cockpit, seats for a pilot and a passenger, and luggage space. 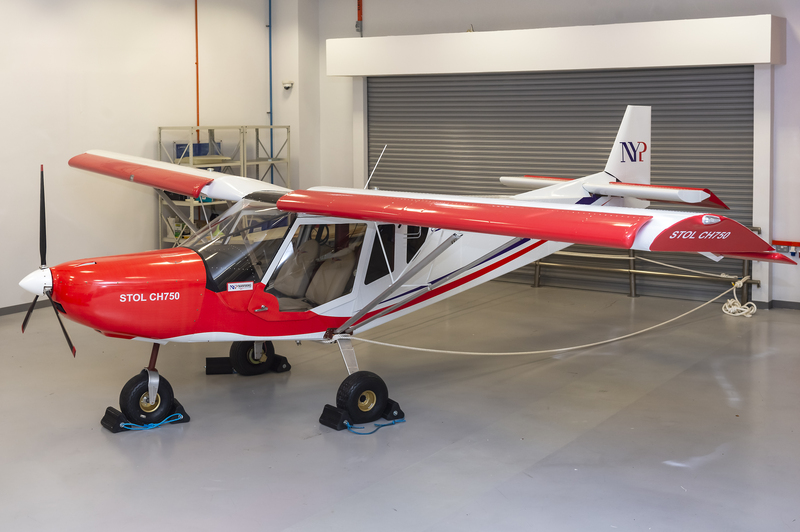 We asked final-year DAAT student, Bao Zheli, and DAAT graduate, Muhammad Hariz Roslan, on their unique experience constructing the same aircraft that was purportedly used by the India Air Force to train its pilots. 1. What are your roles in this project and when did you start working on it? Zheli: The project started in 2014. Two students would work on a specific part of the plane each semester as part of their final-year project. I was tasked to build the windshield, and my teammate Ming Jing worked on the flight control system and cockpit. We were the last pair to work on the aircraft. Hariz: I was assigned to work on the flaps of the plane. Even though I had done my part, I still want to do more. I wish I could have worked on the plane’s interior. 2. Please describe some of the day-to-day tasks when you were working on building the CH750 aircraft. Zheli: We started our day by planning the tasks we needed to accomplish for that day. We will then put together the tools and materials needed for work. We usually work for a few hours with very few breaks in between. Hariz: I would usually plan my day first and communicate with my teammate on what needed to be done. Clear communication was extremely important. 3. What were some of the challenges you faced while building the aircraft, and how did you overcome them? Zheli: I had to ensure there was close coordination with Ming Jing. I came into the project expecting it to be challenging, and it was. The project not only tested my knowledge and skills, but also my ability to work in a team. There was a lot of pressure but Ming Jing and I are glad that we did not mess anything up. If we did, all our seniors’ efforts would have gone to waste. Hariz: Before we embarked on our project, my partner and I would put together the initial drawings so that we can better visualise the aircraft. This was challenging as it took a lot of precision and patience to ensure the measurements were accurate. It was also important to ensure proper tool handling and material care throughout the project. At the end of the day, the challenges will always be there. But the key is to strive to be innovative and creative in finding solutions as a team. 4. What is (or are) your biggest takeaway(s) from this project? Zheli: Safety and traceability of our work. We took safety precautions when we used the tools and machines provided. We also made sure we recorded everything for traceability. The biggest takeaway for me was learning the importance of having great teamwork throughout the entire process. Hariz: I think it is never too early to gain exposure to real-life engineering work and I feel honoured to be part of this rare opportunity. Not everyone can say that they built an aircraft from scratch! 5. What is your dream job/company? What are your plans after graduation? Zheli: The project allowed me to live my passion for aerospace and I am looking forward to working in this industry. After my National Service, I would like to pursue an Engineering degree at a local university. My dream job would see me working for Singapore Airlines or the Civil Aviation Authority of Singapore – I hope to make aviation safer for everyone. Hariz: I will be starting my degree in aerospace engineering at the Embry-Riddle Aeronautical Asia University in January 2019. After I complete my degree, I plan to work in the aviation industry as an engineer. Zheli: With new technologies and concepts in the market, the pace at which the aerospace industry is growing is simply astonishing. However, the curriculum at Nanyang Polytechnic and this aircraft project have drilled and instilled in me the basic fundamentals of aerospace. For this, I cannot be more thankful. 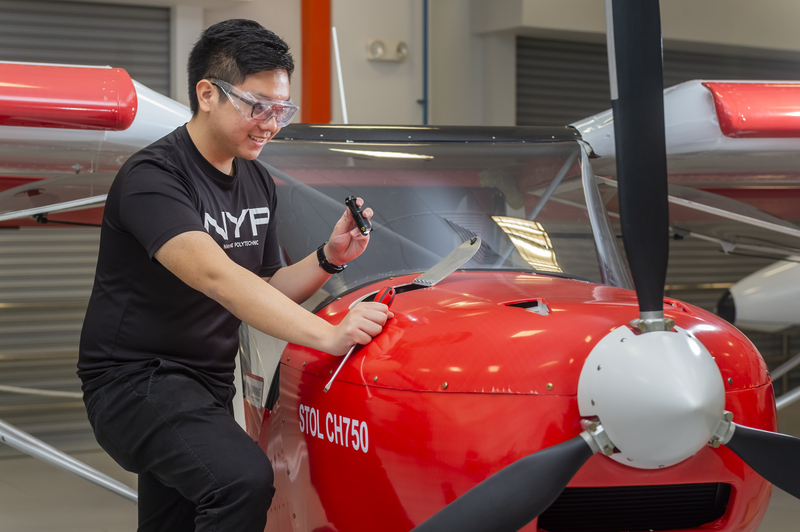 Furthermore, aside from our projects and examinations, NYP also provides opportunities for internships with various industry partners in the Aviation industry. For instance, I am currently interning for RLC (Ronaldsway, Langford and Callender), a company that specialises in aerospace component families. It has been an eye-opening experience as I was introduced to one of the latest technologies in the aerospace industry – single crystal titanium blade. This blade has several mechanical advantages over the traditional aircraft engine blades which I never knew! Aside from internship opportunities, there are also various airplane simulations in the NYP campus for us to analyse in detail and get a hands-on learning approach. Overall, I strongly believe that regardless of how advanced a plane can be, it eventually boils down to the fundamentals. Studying at NYP really equips me with all the relevant skills and updated knowledge I need for the working world.